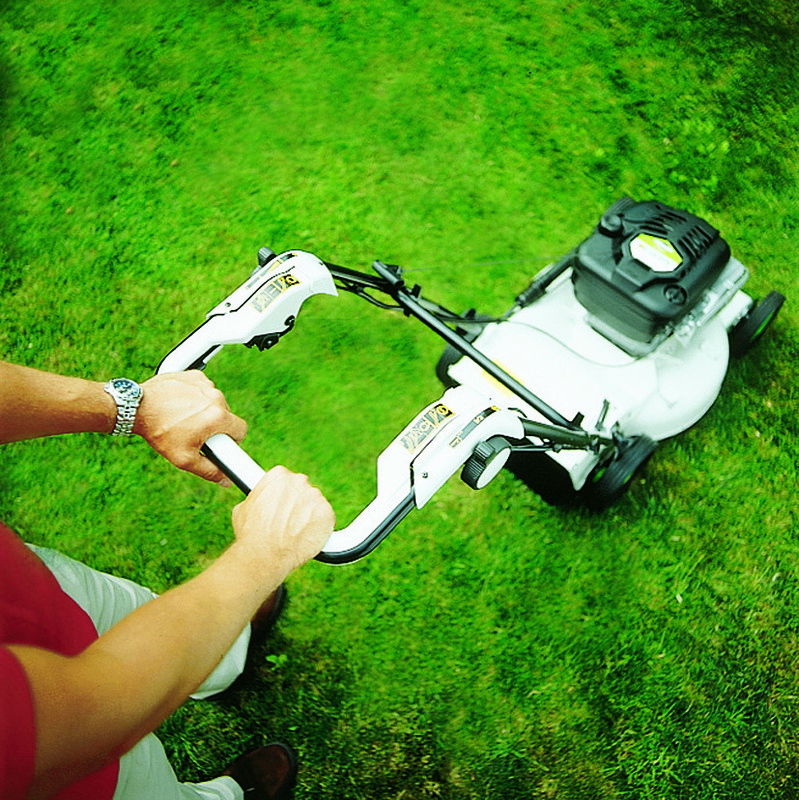 ETESIA's philosophy is to place individuals at the centre of its concerns. By protecting the environment thanks to the Bio Concept described earlier, by developing safe, user-friendly machines and above all by bringing together employees who have a passion for their work. If there is a secret behind ETESIA's success, it is passion and nothing else - that of ETESIA's employees for what they do, because they do it wholeheartedly and to the highest professionals standards. The mower is driven by hydraulic motors in each wheel (Hydro 124D) or by a transaxle and chains (Hydro 100). That choice made by ETESIA avoids the loss of power and reduces stresses due to machine mass. Blade transmission using a double-sided notched belt (Hydro 100) or a cardan and two angle transmissions (Hydro 124 D) for accurate blade indexing. Transmission using a standard single belt (Bahia) makes maintenance easier. The transmission is protected by shear bolts on the blades. From the time they are designed, all our machines undergo extreme durability and strength tests. A whole series of test benches run on a 24/7 basis and test the main functions of the machine - engines, driving of cutters, hydraulics etc. Easy access to the cutting system, which can be removed in less than 5 min from the Hydro 100 and in a matter of seconds from the Hydro 124 D, so that the blades can be changed or sharpened very easily in the field . Access to all the functional parts of the machine - engine, cutting deck etc. - in record time and with no tools. The cutting deck is a single 1-cm thick aluminium casting (Hydro 100) or a Mastershock deck (Hydro 124 D). 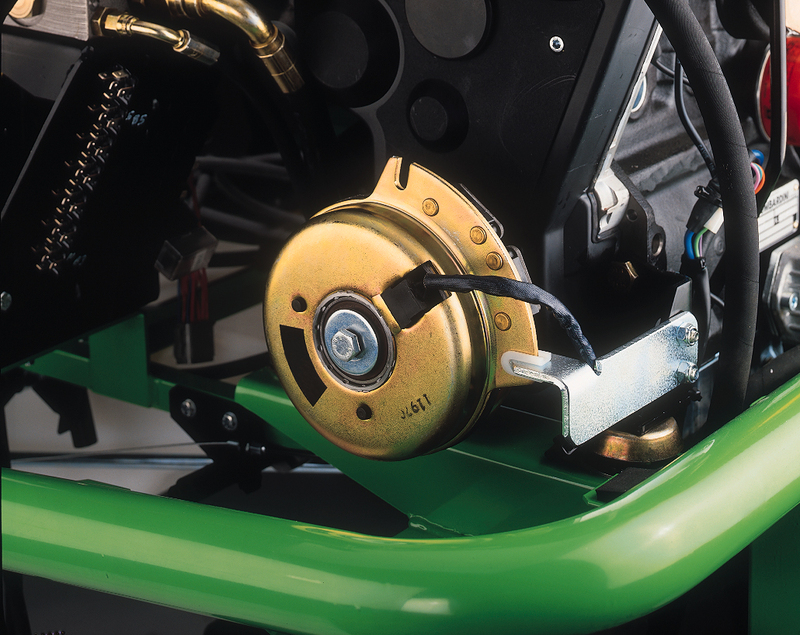 The use of this component in the field of mowing is an exclusive feature from ETESIA. 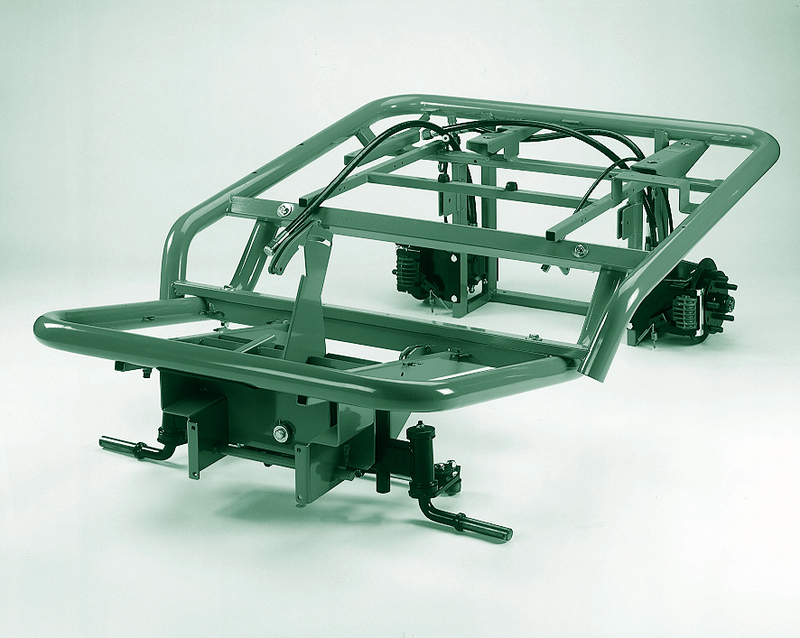 The chassis is made up of a tubular mechanically welded structure that is fully protected from corrosion by cataphoresis to give it unparalleled durability. Emptying the grassbox or setting the lawn mowing height require no effort, and you don't have to leave your seat. 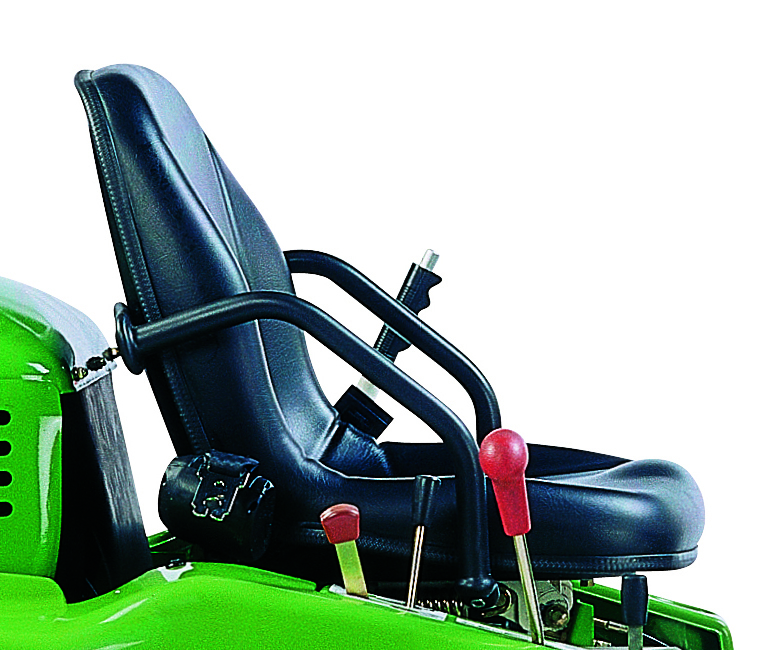 Adjust the seat for optimum comfort (armrests, suspension, front/rear adjustment and backrest tilt). Set the height and tilt of the steering wheel (with H124D). The hydrostatic transmission makes driving much easier. Smoother operation with gradual movement speed. All our ride-on mowers have double Forward/Reverse pedals. Cruise control facility with Biocut SKM and Attila SKF for reduced operator fatigue. Compactness = easy transport. ETESIA ride-on mowers are extremely compact, with no turbine or bend. They can make their way everywhere and cover every millimetre around edges.Thanks to their very small turning radius and obstacle-free visibility, ETESIA lawn mowers are agile and do a better job. Your safety is not to be trifled with ! ETESIA ride-on mowers are designed to offer optimum safety to users - the machine stops completely if there is no driver (seat presence contactors), the blades stop in three seconds, the blades are protected from impacts by two shearing bolts etc. 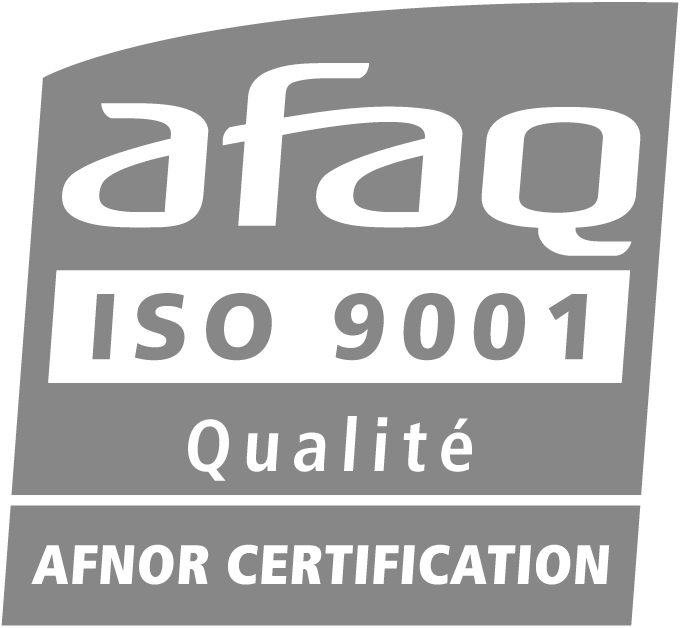 Safety : Of course, all our machines meet the applicable safety standards, particularly in the area of blade stopping, as required by the Machinery directive of January 1997.